The IC Magnifier label can be scaled to meet your volume requirements whether it be millions, tens of million, hundreds of millions, or greater. Costs are dependent on volumes and specific labels design. 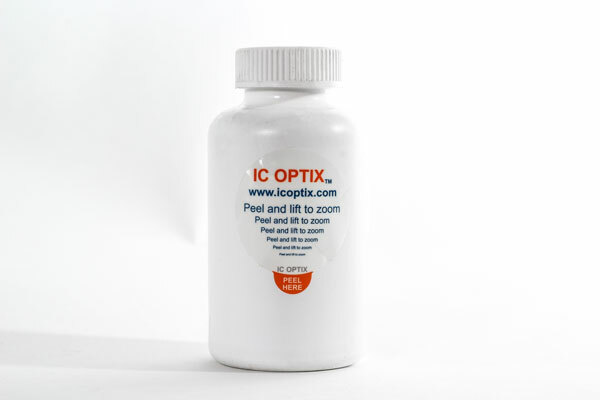 However, in general, the cost for the IC Magnifier is not substantially different from the typical cost range of other types of specialized multilayered labels. 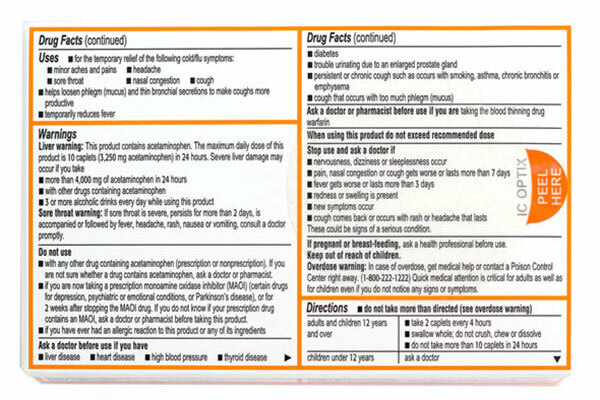 Well over 100 million people in the USA alone have difficulty reading important information on product packaging. Providing consumers with a convenient magnifier option that is associated with the product will help ensure the product is used properly and will enhance the attractiveness of the product to the consumer. Contact us to discuss how we can work together to functionalize your packaging. IC Scrolling Magnifiers provide the convenience of having a good size magnifier associated with items that are used regularly and are usually close at hand, such as pens. These devices are easy to use and to carry around. Since the magnifier retracts when not in use, it remains protected from dirt and abrasion when carried in a pocket or handbag. 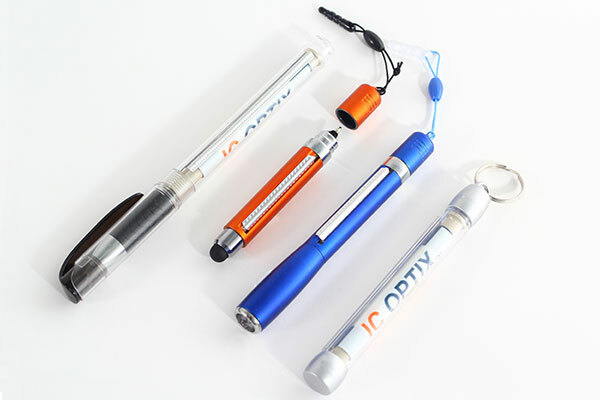 These devices can be customized with promotional information so that each time the scrolling magnifier is scrolled out for use, your promotional information is also viewed. Contact us for more information.